This game is going to be huge! Green Bay Packers fans get to watch a game in the full sunshine, and let's hope that they win it. The Bengals had their hearts ripped out with that tipped pass for a late game TD. You know what that means. The Packers are going to be facing a very desperate Bengals squad. Yes, The Packers are a better team, but on any given day any NFL team could win. Meanwhile back in Milwaukee, the Brewers are in town and the Brewers ticket bargains are plentiful. Watch Prince Fielder try to break that record, in the sun, in the shade, at Miller Park. If you want to head west of Milwaukee this warm weekend, consider Madison as your destination. 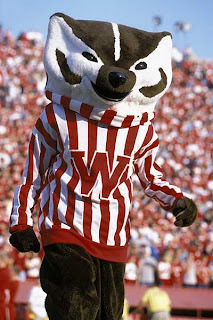 The Wisconsin Badger football team plays thier last non-conference game against Wofford. Milwaukee Brewers are Still My Favorites!